Capsule - save, remember and tag your favorite places ($1.99) by Keren Pinkas and Oz Lubling is a great way to keep a list of those places you’ve been meaning to check out. Think of it as your own private Foursquare. I don’t know about you guys, but I always have a list of places I need to go check out. Whether they are places my friends, family, or coworkers tell me about, or just places I happen to pass by and never went into — I have a bunch of places I love, or have yet to try. 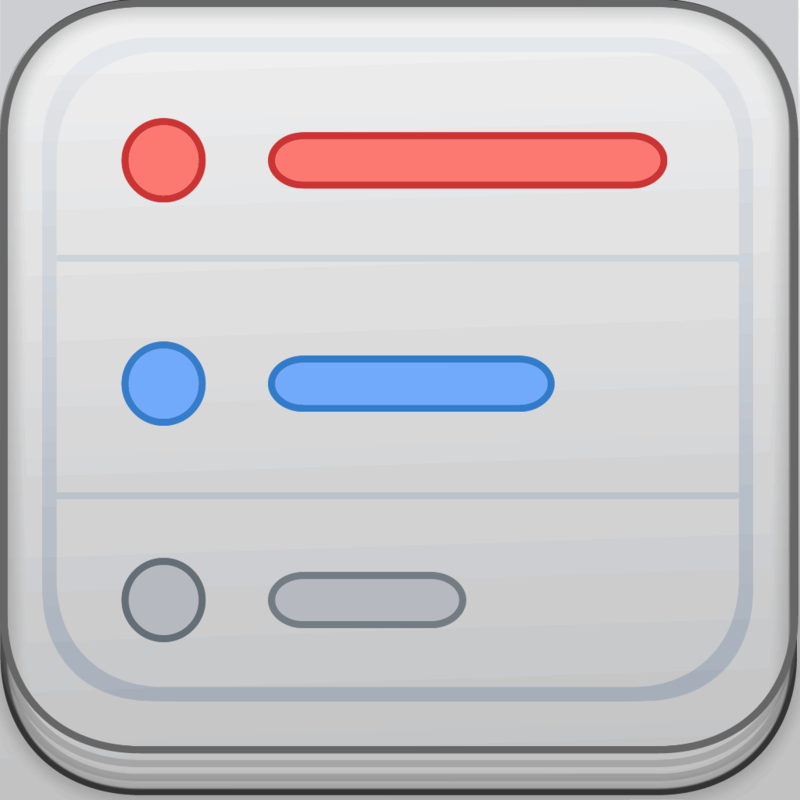 While you can definitely keep all of these in a plain old list app, such as Listacular, it’s definitely better to keep places in an app that is dedicated to handle the task. 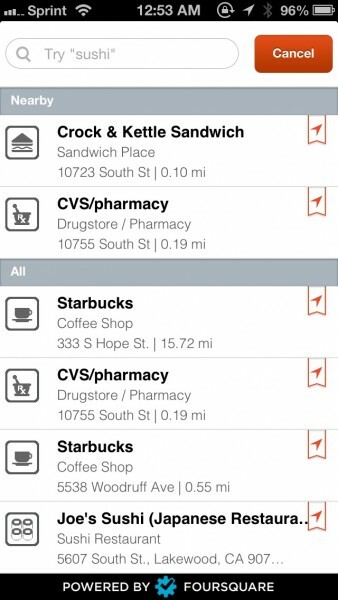 Fortunately, Capsule is here to help you out with keeping all of those recommended spots in one place. 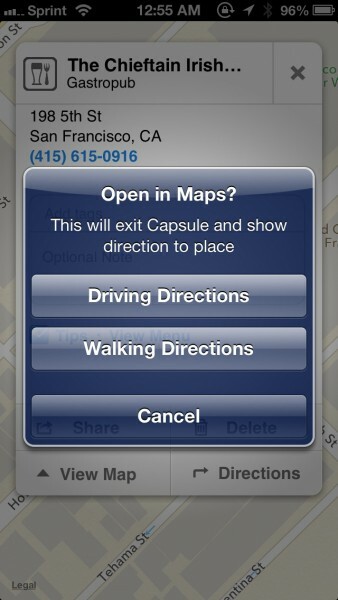 When Capsule is launched, it will, of course, require your permission for location services. What good is an app about locations if it can’t get where you’re at? 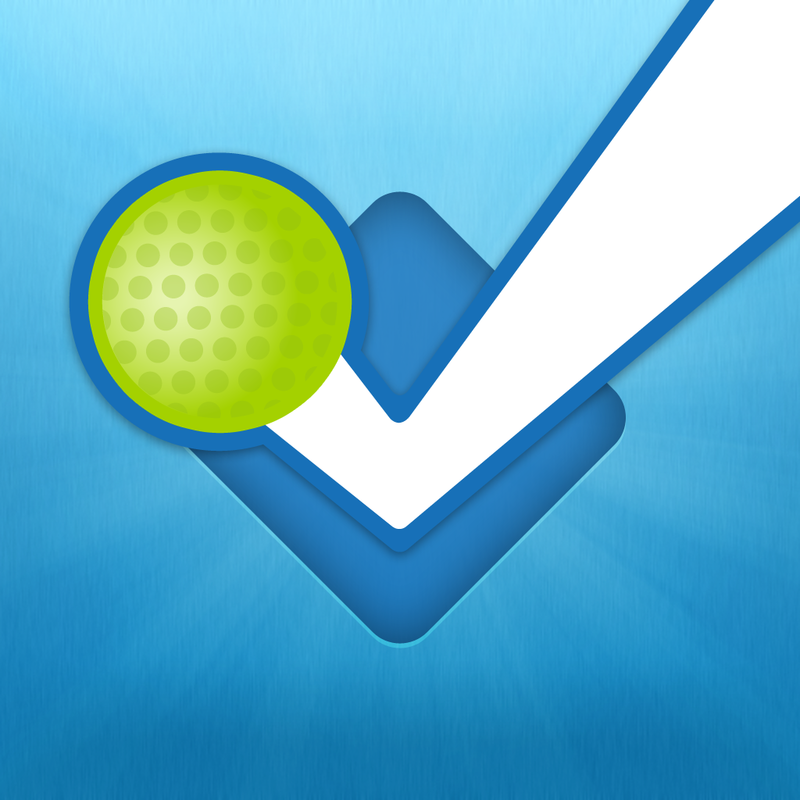 Once it obtains your location, you will find a map, powered by Foursquare, with your location represented by the ever-so-familiar blue dot. Nearby points of interests (according to Foursquare’s database) will be shown on the map as well, and you can tap on their marker to view the name and type of business. 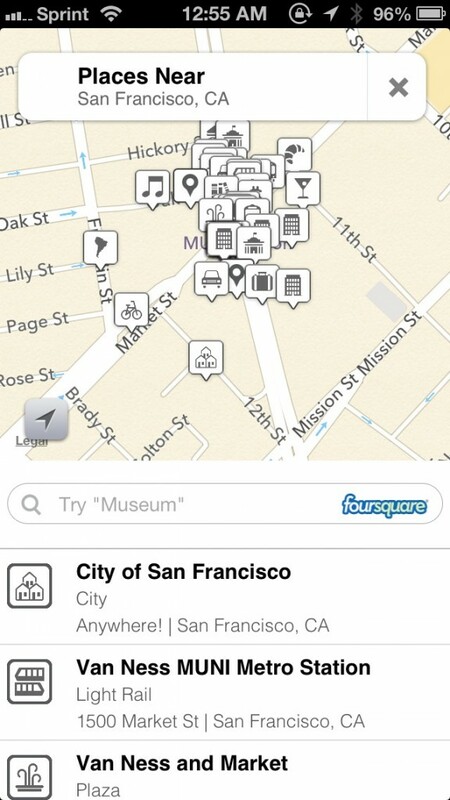 For those who would rather see a list of nearby places, it is available underneath the map. If you ever stray far from your own location, you can tap on the arrow to calibrate the map once more. You can also refresh the data with the refresh button. 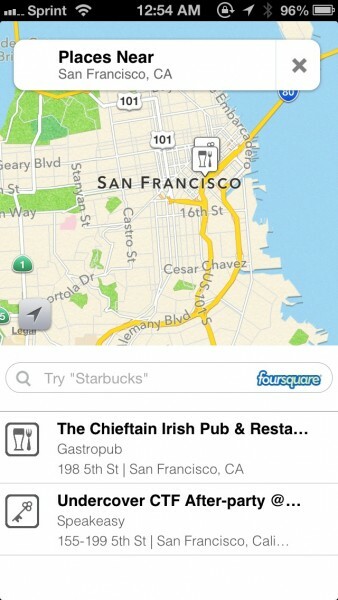 Of course, the app is only half useful if it just finds places that are within proximity of you. 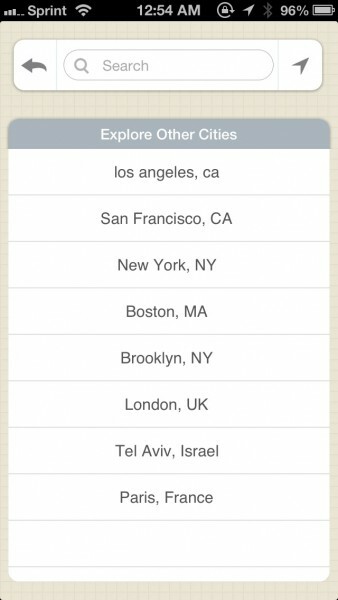 If you exit out of the “Nearby” view, you are able to search for any place in any city, and Capsule also provides the option to quickly jump to some popular spots, such as San Francisco, New York, or even London. Regardless of the method you chose of finding a place, tapping on a business will bring up a card. Here, you see the business name, category it falls under, phone number, and address. 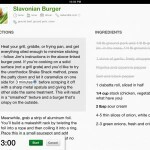 You can add tags to a place for easy reference later, and then add an optional note. If other Foursquare users have left tips at the location, you can view them on the card. 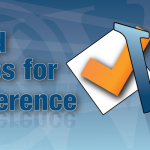 A link for a website will also be shown if available. The card can be collapsed to show the map, and you can launch Maps for driving or walking directions. For remembering places for later, don’t forget to save them to your list in Capsule. Your list can be accessed at anytime by exiting the search, which reveals the “My List” button in the bottom corner. Your list will show all of the spots you’ve saved, and you can quickly search through them by keyword (Capsule goes through everything, so no worries about what you can or can’t search by). However, they’ll be organized so the nearby ones are at the top, with everything else after. 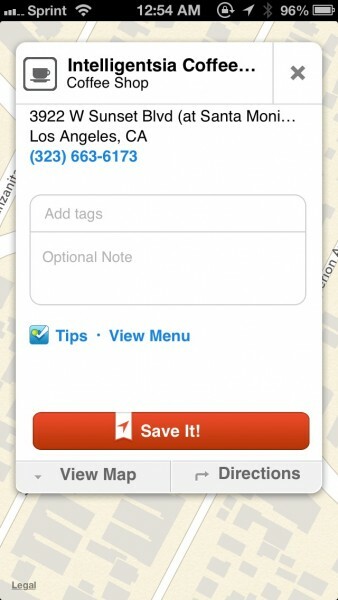 Tapping a selection will bring up the card again, where you can edit it or view additional details and get directions. I’m really enjoying Capsule so far, because it’s a nifty little way to keep a list of all of those places you want to go to, whether it’s a new coffee spot to do your work at, a new bar to get your drink on, or a fancy new restaurant for a special date. The interface is also minimal and elegant, and pretty intuitive to use. However, I think that a few improvements could be made to make the app even better. Being able to create multiple lists would be nice, and help make things a bit more organized when you start accumulating a good collection of spots. I would also like to see a way to mark a place as “visited” somehow, so you can differentiate the places you’ve yet to be in your list. There also does not appear to be any data backup at the moment, so your data will only be stored locally. While Foursquare data seems pretty comprehensive for the most part, I would also like to see the option for other map databases. 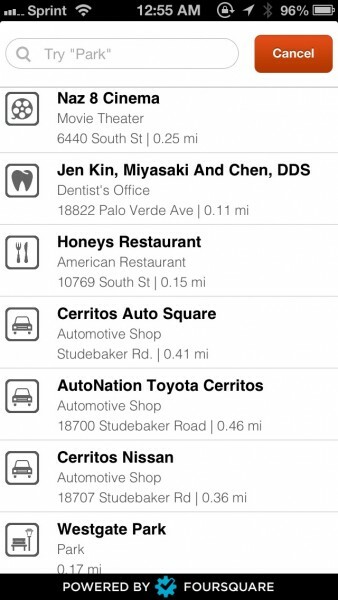 This is due to the fact that people can “add” locations to Foursquare, such as their own homes, and it can add some unnecessary clutter when searching. 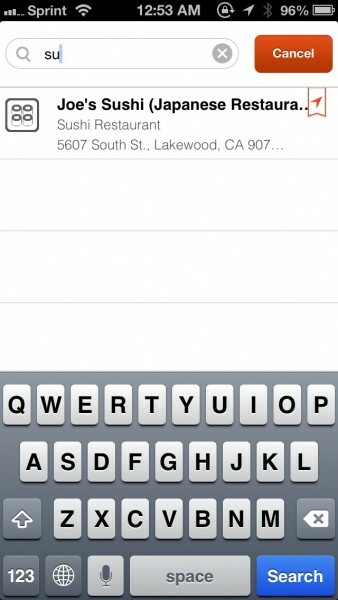 Perhaps using Google Maps, or even Apple Maps, can be implemented somehow. Definitely not a big deal, but I do notice some silly “locations” when I was searching for nearby spots. 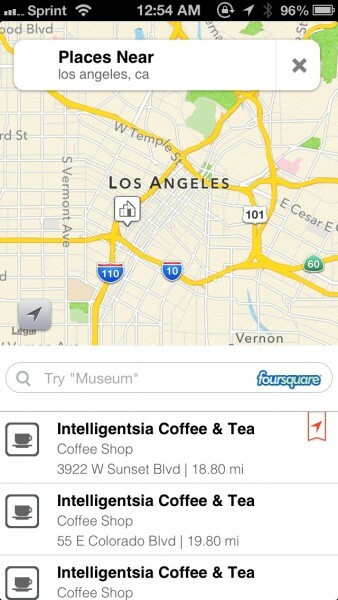 Still, this sleek little app is a great way to keep a list of places you want to go to, complete with quick directions. It beats manually keeping a list yourself, and it’s fun to use. 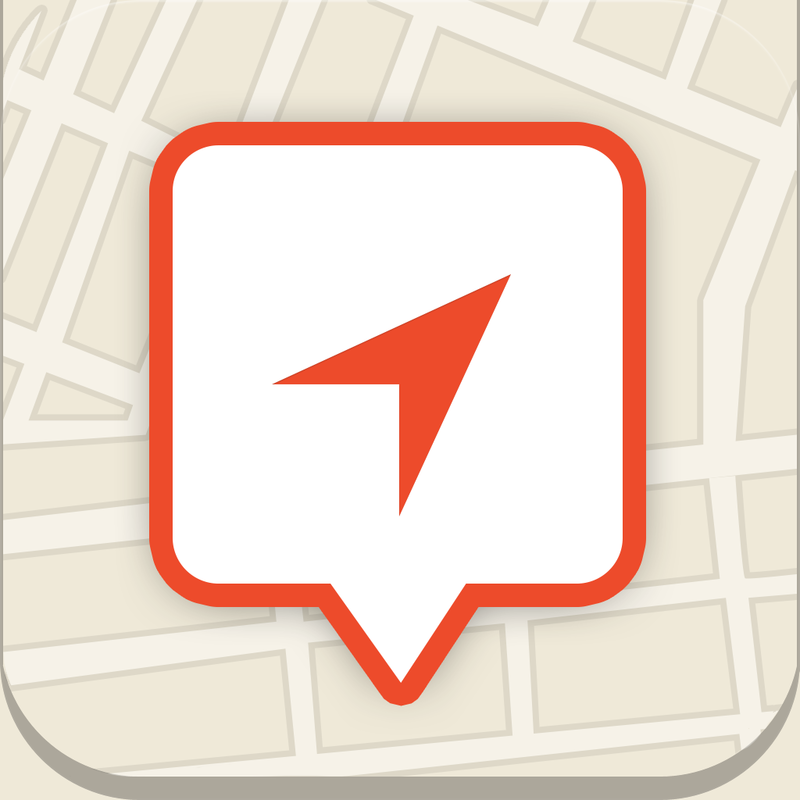 You can find Capsule – save, remember and tag your favorite places in the App Store for your iPhone for $1.99.